Adventures in Stitching: Another free trilobite! My little landscape quilt is thisclose to being finished, and I am also thisclose to completing the first page of my Metta sampler, but oh there is just so much life to live outside of stitching and I'm not quite ready to post them yet. I also recieved a couple new books and stash over the weekend but haven't yet taken pictures of them. BUT I do not come here empty-handed. 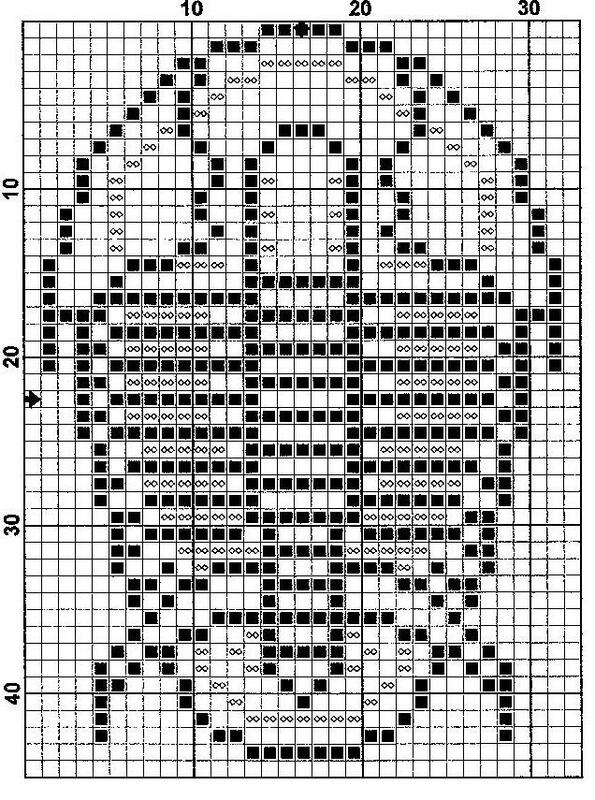 The kids are busy "making dinosaur bones" (again, no pictures yet) so in honor of that here's another trilobite pattern for your enjoyment! This here little dude is a Housia species of Anomocaroidea, which is a superfamily of suborder Asaphid trilobites. They are found near Radium, British Columbia (where I have never been, but hope to go someday) and were usually about 3 centimeters long. Cutie pies! As always, please respect copyright laws and do not sell this pattern but please feel free to point other fossil-loving crafters in this direction. Right click and "save as" to download. Alright, I gotta go play MarioKart with the rugrats, put them to bed, finish *something* and then get a good night's sleep, so I can get up early tomorrow and drive an hour to sit in a hotel conference room and not fall asleep in a seminar on new standards for vapor intrusion assessment. Onward!